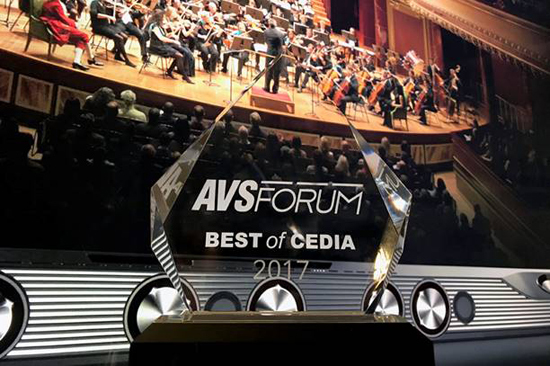 Groundbreaking X-Fi Sonic Carrier has won an AVS Forum Best of CEDIA 2017 award. The AVS Forum is the world’s largest AV-enthusiast forum site. Sonic Carrier was showcased at CEDIA 2017 held at the San Diego Convention Centre. The occasion brought together more than 20,000 home tech pros and 500+ exhibitors to the leading event in smart and home technology. Showcased were new products, breakthrough innovations in home tech integration organized by CEDIA, the leading authority in the home technology industry. 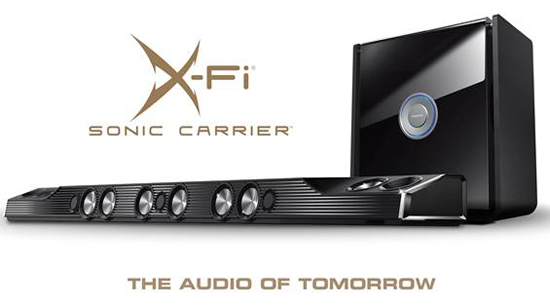 The Sonic Carrier which personifies the Audio of Tomorrow, is a powerful home entertainment system with Dolby Atmos, Creative’s SuperWide X-Fi (likened to stereo on steroids), 17 drivers in a 15.2 configuration, and 1000W RMS power, is set to revolutionize how users experience their audio with the ultimate immersive cinematic sound experience that reviewers claim is akin to a real cinema. The Sonic Carrier works out-of-the-box delivers a fuss-free powerful audio solution, giving the added edge over more complex solutions with multiple discrete speakers and messy wiring. To find out more about the Sonic Carrier, visit soniccarrier.com.